It was recently announced by Bandai Namco that a new Gundam game was headed to the PlayStation 4. Although it was not specifically known at the time what kind of game it would be, it was rumored to be a follow up to 2013’s Gundam: Battle Operation for PS3. 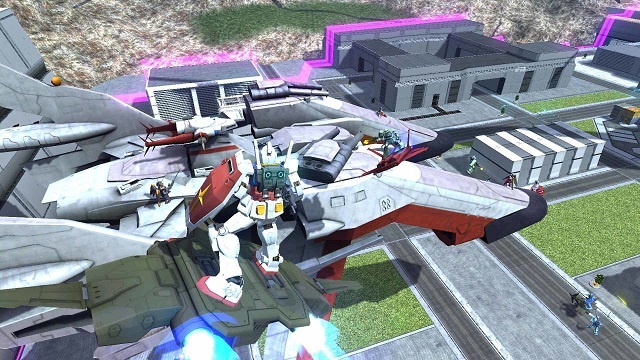 In that game, a Japan-exclusive, free-to-play offering with DLC packs for mobile suits and missions, up to 12 players fought in online battles, with a minimum of four on each side engaging in third-person mecha action in the setting of the Universal Century’s One Year War. Half the players would take up arms for the Federation and the other half for the Principality of Zeon in high-speed battles for supremacy. There is no word on a launch date for the finished version or any possible Western release. As we hear more details, we’ll pass them along.